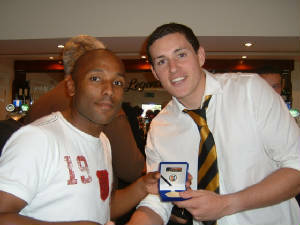 After several postponements, the awards for 2007-08 were finally presented on Sunday 13th July in Legends Bar. 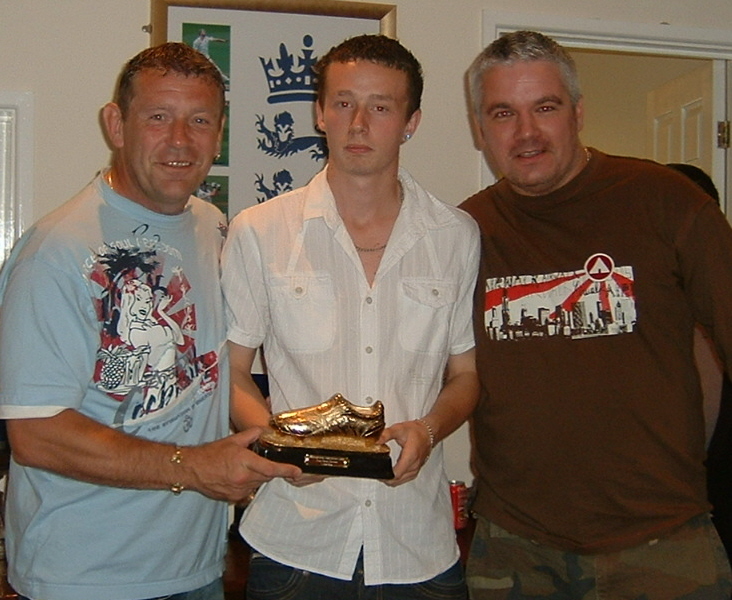 Liam Bartley - Top Scorer, Yth League East Div. 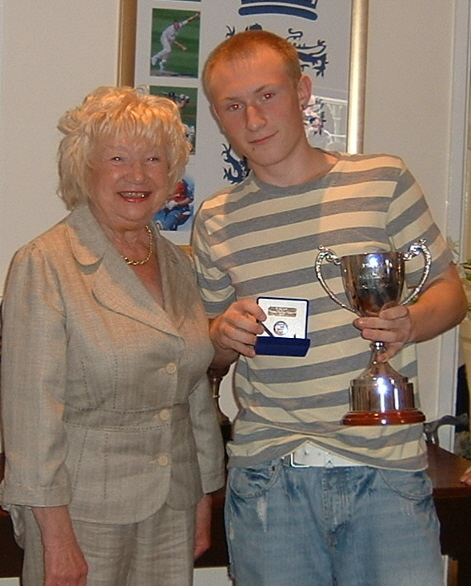 Several awards were not made at the above event due to the absence of the winners. 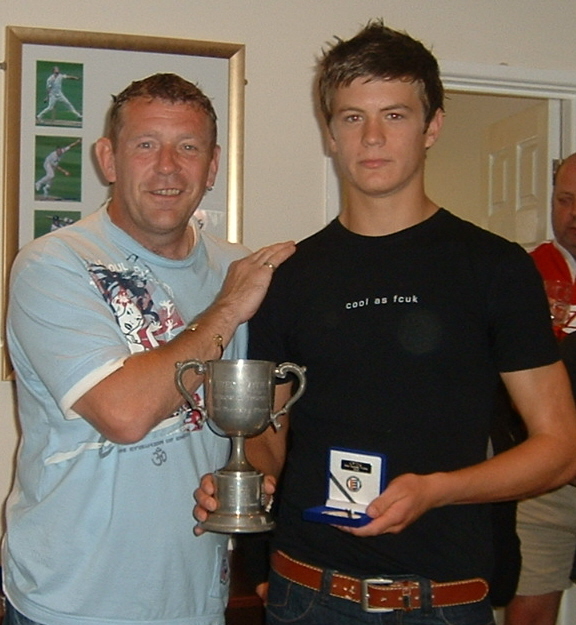 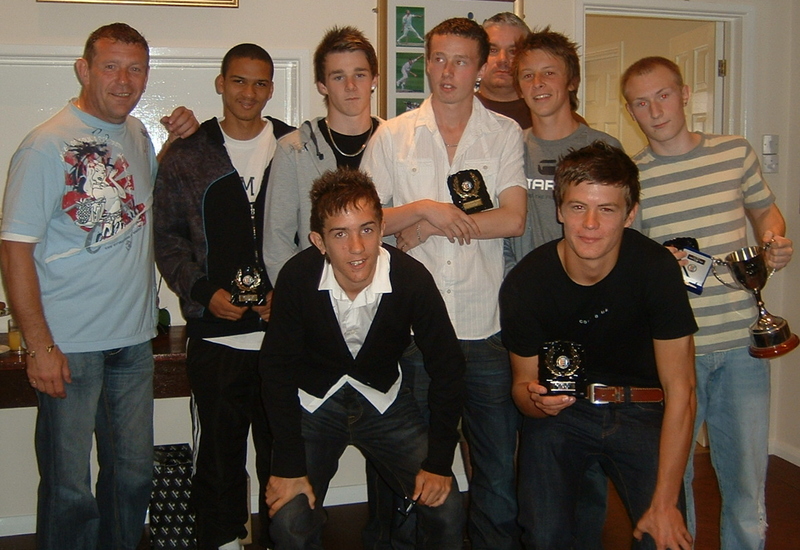 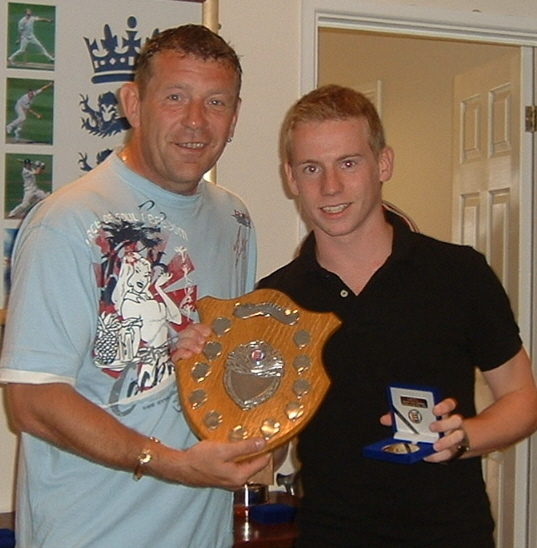 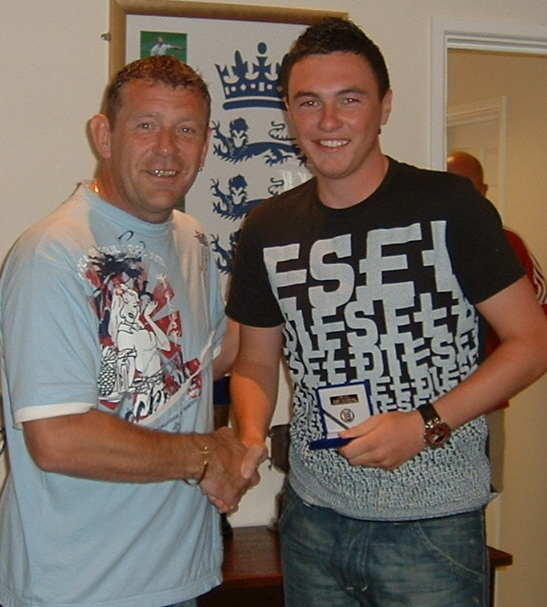 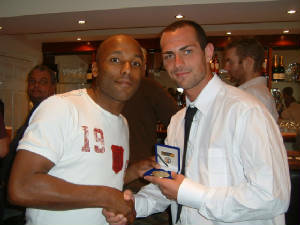 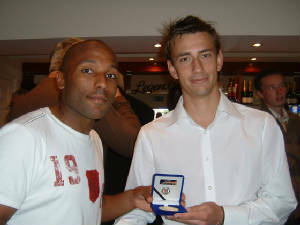 However, after the Kings Lynn game on July 19th, Julian Joachim - the former Premiership player and the Linnets star summer signing - stepped in to complete the missing awards, presenting Nick Crawley with the Scott-Greenard Sportsmanship Trophy (Adult), Elliott Pride with the First Team Players POY and Johnny Watt with the First Team Supporters POY.